Our affiliated faculty program reaches out to Latin Americanists at neighboring institutions. For more information contact Ted Fischer (email) or Avery Dickins de Girón (email). 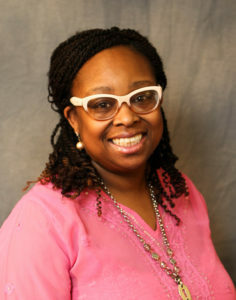 Rhonda Collier (Ph.D., Comparative Literature, Vanderbilt University) is an Associate Professor of English at Tuskegee University, where she also serves as the Director of the TU Global Office. She is a Fulbright Scholar, who studied at the Universidad de São Paulo in Brazil. Besides her Ph.D. in Comparative Literature, she holds a B.S. and a Master’s degree in Industrial Engineering from the University of Tennessee, Knoxville and Georgia Tech respectively. She has published in the areas of Afro-Brazilian, Afro-Cuban, African-American, and global hip hop studies. At Tuskegee University, she focuses on American literature, Black American literature, and composition courses with an emphasis on service-learning. Her work “Mothering Cuba: The Poetics of Afro-Cuban Women” appears in Another Black Like Me: The Construction of Identities and Solidarity in the African Diaspora (Cambridge Scholar Press, 2015). She recently published on Afro-German hip hop in the College Language Association Journal. She discusses art as a space of forgiveness and reconciliation. She is passionate about education abroad and cross-cultural student engagement. Theron Corse (Ph.D., Latin American History, Vanderbilt University) is a professor of Latin American History, Geography and Political Science in Tennessee State University’s Department of History, Geography, and Political Science. He also presently serves as Coordinator of Interdisciplinary Studies. His book “Protestants, Revolution, and the Cuba-US Bond” (2007) looks at one aspect of civil society in Communist Cuba–the Protestant experience–and at continuing links between Cuba and the United States that do not focus on diplomatic issues. 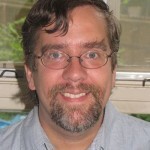 Gregory Hammond (Ph.D., History, University of Texas at Austin) is an Assistant Professor of History at Austin Peay State University’s Department of History and Philosophy. His book The Women’s Suffrage Movement and Feminism in Argentina from Roca to Peròn examines how and why women won their voting rights when they did in Argentina, and his present research examines the same issue for Peru. Dr. Hammond is active in the Sister City program between Nashville and Mendoza, Argentina, and taught at the Soto Cano airbase in Honduras in 2013. 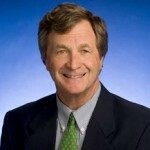 Larry Harrington (Doctor of Jurisprudence, Vanderbilt School of Law) was appointed by the White House as U.S. Executive Director of the Inter-American Development Bank from 1995 until December of 2001. After this he was based in Mexico where he served as the U.S. Representative of the Inter-American Development Bank from 2004 to 2008. He also represented the U.S. on the board of the Inter-American Investment Corporation and the Donors Committee of the Multilateral Investment Fund, both of which promote private sector investment in the countries of Latin America and the Caribbean. Michael LaRosa (Ph.D., University of Miami, Coral Gables, FL) is Associate Professor of History at Rhodes College, Memphis. He has worked at Rhodes since 1995. At Miami, he studied with the Peruvianist Steve Stein and the late Brazilianist Robert M.Levine. 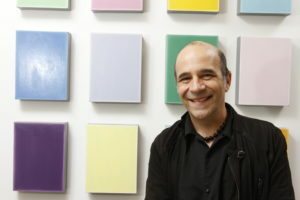 LaRosa focuses on the history of contemporary Colombia; he has worked as visiting professor at several universities in Bogotá, twice under the auspices of the J. William Fulbright program. His most recent publication, a co-authored text with the Colombian historian Germán R. Mejía is titled Colombia: A Concise Contemporary History which released in a second edition in 2017. In Colombia, the book published as Historia concisa de Colombia with Penguin/Random House the same year. 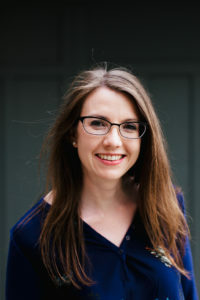 Jana Morgan (Ph.D., Political Science, UNC-Chapel Hill) is Associate Professor of Political Science at the University of Tennessee, Knoxville. Her award-winning research explores how patterns of economic, social, and political marginalization undermine democratic institutions and processes across the Americas. Her work has been published in outlets including American Political Science Review, Journal of Politics, and Latin American Research Review and has received funding from various sources including the Russell Sage Foundation, the Pew Foundation, and the Fulbright-Hays program. Jana is also actively involved in the Vanderbilt based Latin American Public Opinion Project. Stephen D.Morris (Ph.D., Political Science, University of Arizona) is Professor of Political Science at Middle Tennessee State University. From 1989-2009, he directed the international studies program at the University of South Alabama. He is the author of Political Corruption in Mexico: The Impact of Democratization, Gringolandia: Mexican Identity and Perceptions of the U.S., Political Reformism in Mexico, and Corruption and Politics in Mexico, and coeditor with Charles Blake of Corruption and Democracy in Latin America and Corruption and Politics in Latin America. He is currently working on a comparative study of political corruption in Mexico and the United States. 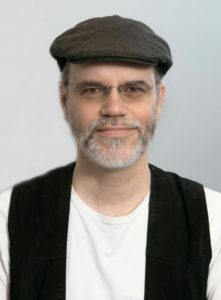 Richard Pace (Ph.D., Anthropology, University of Florida) is Professor of Anthropology at Middle Tennessee State University. Since the early 1980s, Pace has conducted ethnographic research in the Brazilian Amazon among ribeirinho populations (the indigenous peasantry) with a focus on political ecology and the impact of media. 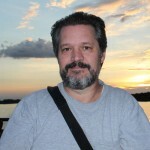 His current research projects include a historical ecology of the Amazonian municipality of Gurupá (combining archaeological and ethnographic research); a longitudinal study of the socio-environmental impact of the Belo Monte Dam upon communities of the lower Xingu and Amazon Rivers; and a nation-wide restudy of the impact television in Brazil. Gerald Reed (Ph.D., Public Administration, Tennessee State University) has over twenty-five years of public sector experience in both the U.S. and internationally. Dr. Reed initiated his international work in 1989 with a two year assignment as an organizational development advisor at the United Nations Latin American Institute for the Prevention of Crime and the Treatment of Offenders (ILANUD) in San José, Costa Rica. 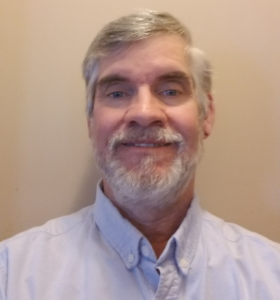 Dr. Reed continues to work at the international level as a consultant with assignments in El Salvador and Paraguay and is Adjunct Professor in Political Science at MTSU. 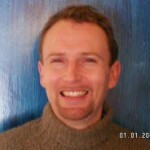 Christoph Rosenmüller (Ph.D., Latin American History, Tulane University) is a professor of Latin American History at Middle Tennessee State University in Murfreesboro, TN. 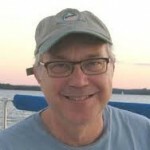 He teaches the U.S. and World history surveys as well as upper-division and graduate courses in Latin American history. He received three Fulbright grants for his work on historical corruption. He has also been a research fellow of the Gerda Henkel Foundation (2017–2018), of the Max Planck Institute for Legal History in Frankfurt (Germany, 2016–2017), and of the German Academic Exchange Service (DAAD, fall 2015). While on these grants, he served as a visiting professor at the Colegio de México in Mexico City, the Karl Franzens University of Graz (Austria), the University of Münster (Germany). His book titled Corruption and Justice in Colonial Mexico, 1650–1755 is now coming out with Cambridge University Press. This book draws on research in seven languages. His recent publications include the edited volumes Corruption in the Iberian Empires. Greed, Custom, and Colonial Networks (University of New Mexico Press, Albuquerque, N. M., 2017), and (with Stephan Ruderer) “Dávidas, Dones, Dinero:” Aportes a la nueva historia de la corrupción en América Latina, desde el imperio español hasta la modernidad (Frankfurt/Madrid: Vervuert Iberoamericana, 2016), and the book Patrons, Partisans, and Palace Intrigues: The Court Society of Colonial Mexico, 1702–1710 (Calgary: University of Calgary Press, 2008). Dr. Rosenmüller has published articles in the Hispanic American Historical Review, the Latin American Research Review, and the Estudios de Historia Novohispana, among others, and various chapters in edited books. Moreover, Dr. Rosenmüller has been an invited lecturer at universities in the United States, England, Peru, Mexico, Spain, Germany, and Austria.